Secretary of Bharat Sevashram Sangh, Shillong, Swami Damodarananda also known as Amit Maharaj, has been expelled from the organization following charges of fund embezzlement to the tune of over Rs 60 lakh. Secretary of Bharat Sevashram Sangha, Shillong, Swami Damodarananda also known as Amit Maharaj, has been expelled from the organization following charges of fund embezzlement to the tune of over Rs 60 lakh. Earlier, Swami Bishwatmananda hinted that under no circumstances he would allow anyone to malign the institutional sanctity of Sangha. “Swami Damodarananda should be jailed and he should be given exemplary punishment so that it acts as a deterrent for others,” he said. 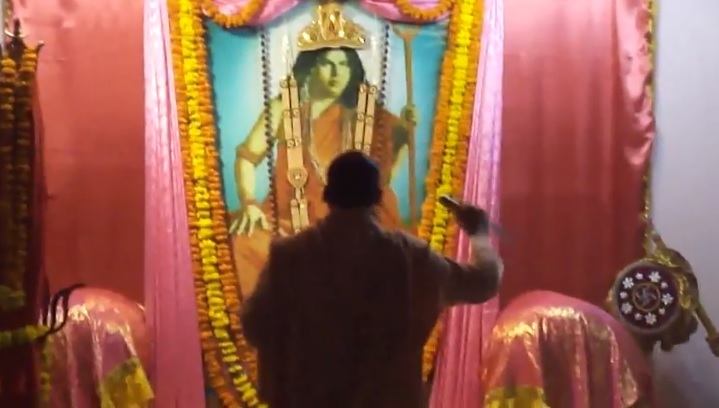 Swami Damodarananda also known as Amit Maharaj has allegedly transferred money to his parents Provat Kumar Misra, Juthika Misra and brother Sumit Misra of Burdwan, from his personal account maintained at a nationalized branch in Shillong. According to the bank statements, a total of Rs 24.26 lakh was transferred from the account of Swami Damodarananda, Rs. 7.70 lakh transferred from the account of Swami Purnabratananda and Rs. 28.56 lakh in the form of cheques and from devotees’ accounts. Sources claimed that the beneficiary of this transferred amount has since developed assets in the form of properties and buildings in West Bengal’s Burdwan – which happens to be the hometown of Damodarananda before he took to sainthood. It was further alleged that pilgrims were charged higher rates for their stay at the BSS guesthouse at Shillong instead of the official nominal rates. Apart from this, it was also alleged that the pathology and other departments at the BSS medical unit were shown to the authorities being operating free of cost whereas in reality the patients / visitors were charged besides irregularities in procurement of medicines, too. These earnings from the medical unit were allegedly not put into proper books of accounts.